Afghanistan is based on the amount of income tax payable by a natural person which is calculated by applying the schedule in Article 4 (3) of the Income Tax Manual (2009). The current personal income tax rates are progressive up to 20%. Albania is based on the current personal income tax rates which are progressive up to 23%. The minimum monthly salary in Albania for PIT is ALL 24,000, and the first 30,000 is tax free. Algeria is based on the current personal income tax rates which are progressive up to 35%. Up to DZD 120,000 oer month is tax free. There is no special expatriate tax regime in Algeria. Andorra is based on the current personal income tax rate which is 10% on income above Euro 24,000 per annum. Angola is based on the current personal income tax rates which are progressive up to 17%. There are 3 groups of remuneration (A, B and C). 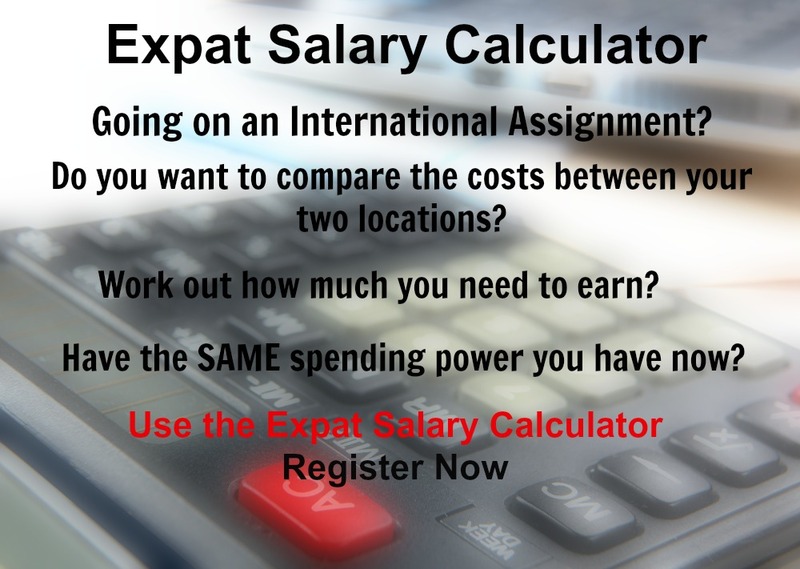 The rates used for Xpatulator Hypothetical Tax purposes are for Group A which applies to employees and public servants. Anguilla is based on the current personal income tax rates which are 0% as there is no personal income tax. Antigua and Barbuda is based on the current personal income tax rates which are 0% as there is no personal income tax. Argentina is based on the current personal income tax rates which are progressive up to 35%. Armenia is based on the current personal income tax rates which are progressive up to 36%. Aruba is based on the current personal income tax rates which are progressive up to 58.95%. Austria is based on the current personal income tax rates which are progressive up to 55%. Australia is based on the current personal income tax rates which are progressive up to 45%. Azerbaijan is based on the current personal income tax rates which are progressive up to 25%. The Bahamas is based on the current personal income tax rate which is 0% as there is no personal income tax. Bahrain is based on the current personal income tax rate which is 0% as there is no personal income tax. However employees contribute to Social Insurance. Bangladesh is based on the current personal income tax rates which are progressive up to 30%. Barbados is based on the current personal income tax rates which are progressive up to 33.5%. The basic rate of income tax is 16% for the first 35,000 (BBD) of monthly taxable income, and the higher rate is 33.5% for monthly taxable income in excess of BBD 35,000. Belarus is based on the current personal income tax rate which is a flat rate of 13%. Belgium is based on the current personal income tax rates which are progressive up to 50%. Tax is applicable to net taxable income after the deduction of social security charges and professional expenses. In addition, communal taxes are levied at rates varying from 0% to 9% of the income tax due. The average rate being 7%. Belize is based on the current personal income tax rate which is a flat rate of 25% for those earning above BZD$26,000 per year. Those employed and residing in Belize with total income per annum from all sources of less than BZD$26,000 are exempt from Income Tax. Benin is based on the current personal income tax rates which are progressive up to 35%. Bermuda is based on the current personal income tax rate of 0% as there is currently no personal income tax. Bhutan is based on the current personal income tax rates which are progressive up to 25%. Bolivia is based on the current personal income tax rate which is a flat rate of 13%. Bosnia and Herzegovina is based on the current personal income tax rate which is a flat rate of 10%. Botswana is based on the current personal income tax rates which are progressive up to 25%. Brazil is based on the current personal income tax rates which are progressive up to 27.5%. The British Virgin Islands is based on the current personal income tax rate of 0% as there is currently no personal income tax. Brunei is based on the current personal income tax rate of 0% as there is currently no personal income tax. Bulgaria is based on the current personal income tax rate which is a flat rate of 10%. Burkina Faso is based on the current personal income tax rates which are progressive up to 30%. Burundi is based on the current personal income tax rates which are progressive up to 30%. Cambodia is based on the current personal income tax rates which are progressive up to 20%. Fringe benefits are taxable at the flat rate of 20% of the amount paid. Cameroon is based on the current personal income tax rates which are progressive up to 38.5%. Canada is based on the current Federal personal income tax rates only which are progressive up to 33%. In addition to Federal income tax, an individual who resides in, or has earned income in, any Province or Territory is also subject to Provincial or Territorial income tax. For Xpatulator Hypothetical Tax purposes we have used an average Provincial / Territorial income tax rate of 16.9%. The combined maximum progressive Xpatulator Hypothetical Tax rate is therefore 49.9% based on Federal (33%) + Provincial / Territorial Taxes (16.9%). Cape Verde is based on the current, declarative method, personal income tax rates which are progressive up to 27.5%. The Cayman Islands is based on the current personal income tax rate of 0% as there is currently no personal income tax. The Central African Republic is based on the current personal income tax rates which are progressive up to 50%. Chad is based on the current personal income tax rates which are progressive up to 30%. Chile is based on the current personal income tax rates which are progressive up to 35%. China is based on the current personal income tax rates which are progressive up to 45%. Hong Kong is based on the current personal income tax rates which are progressive up to 17%. Colombia is based on the current personal income tax rates which are progressive up to 33%. The value of each tax unit (UVT) is equivalent to COP 33,156 for fiscal year 2018. Comoros is based on the current personal income tax rates which are progressive up to 30%. The DRC is based on the current personal income tax rates which are progressive up to 40%. 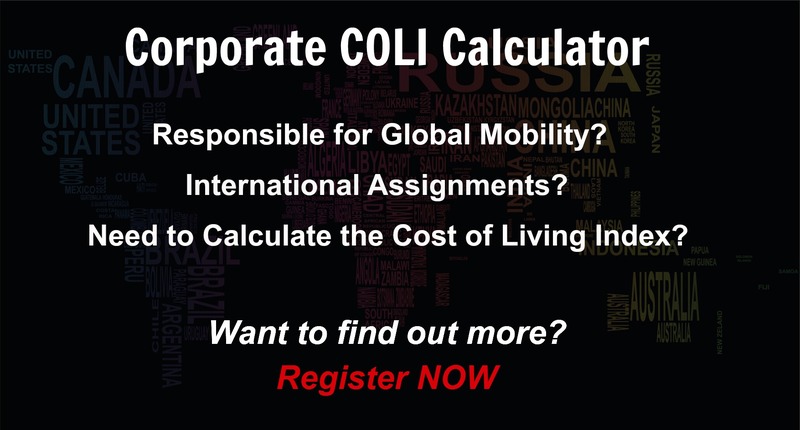 Where a company hires expatriates, it has to pay an exceptional tax (IERE). The Congo is based on the current personal income tax rates which are progressive up to 40%. A tax rate of 20% is applicable on salaries for duties performed in the Republic of Congo by foreign employees seconded to work in the Republic of Congo for limited periods. The Cook Islands is based on the current personal income tax rates which are progressive up to 30%. Costa Rica is based on the current personal income tax rates which are progressive up to 25%. Cote D'Ivoire is based on the current personal income tax rates which are progressive up to 60%. Croatia is based on the current personal income tax rates which are progressive up to 36%. Cuba is based on the current personal income tax rates which are progressive up to 50%. A tax on expatriates is levied on a monthly basis at 15% from the income gained or generated in Cuba. Cyprus is based on the current personal income tax rates which are progressive up to 35%. Czech Republic is based on the current personal income tax rate which is a flat rate of 15%. Denmark is based on the current personal income tax rates which are progressive up to 48% inclusive. This comprises up to 8% Labour Market Tax + 15% State Tax +25% Municipal Tax. Note: All income from employment or self-employment is taxed at 8% before income tax. In addition state income tax has two income brackets base (11.15%) and top (15%). There is also Municipal tax which averages 25%. Expatriates who are employed in Denmark and scientists assigned to Denmark may be able to apply for a flat tax rate of 26% on their gross salary for up to 60 months . A number of conditions must be met. Djibouti is based on the current personal income tax rates which are progressive up to 30%. Dominica is based on the current personal income tax rates which are progressive up to 35%. The Dominican Republic is based on the current personal income tax rates which are progressive up to 25%. Ecuador is based on the current personal income tax rates which are progressive up to 35%. Egypt is based on the current personal income tax rates which are progressive up to 22.5%. El Salvador is based on the current personal income tax rates which are progressive up to 30%. Equatorial Guinea is based on the current personal income tax rates which are progressive up to 35%. Eritrea is based on the current personal income tax rates which are progressive up to 30%. Estonia is based on the current personal income tax rate which is a flat rate of 20%. Ethiopia is based on the current personal income tax rates which are progressive up to 35%. The Falkland Islands is based on the current personal income tax rates which are progressive up to 26%. Fiji is based on the current personal income tax rates which are progressive up to 20%. In addition to income tax, social responsibility tax (SRT) and ECAL is imposed on chargeable income. Finland is based on the current personal income tax rates which are progressive up to 31.25%. France is based on the current personal income tax rates which are progressive up to 45%. Note: For income tax purposes, France covers mainland France, the coastal islands and Corsica; and overseas départements (Guadeloupe, French Guiana, Martinique, Réunion and Mayotte). French Guiana is based on the current personal income tax rates which are progressive up to 45%. Note: For income tax purposes, France covers mainland France, the coastal islands and Corsica; and overseas départements (Guadeloupe, French Guiana, Martinique, Réunion and Mayotte). French Polynesia is based on the current personal income tax rates which are progressive up to 45%. Note: For income tax purposes, France covers mainland France, the coastal islands and Corsica; and overseas départements (Guadeloupe, French Guiana, Martinique, Réunion and Mayotte). Gabon is based on the current personal income tax rates which are progressive up to 35%. The Gambia is based on the current personal income tax rates which are progressive up to 30%. The Republic of Georgia is based on the current personal income tax rate which is a flat rate of 20%. Germany is based on the current personal income tax rates for single taxpayers which are progressive up to 45%. Ghana is based on the current personal income tax rates which are progressive up to 35%. Gibraltar is based on the current personal income tax rate which is a flat rate of 20%. Greece is based on the current personal income tax rates which are progressive up to 45%. Greenland is based on the current personal income tax rates which are between 36% and 44%, comprised of Municipality tax, National tax and Joint local municipality tax, depending on the municipality of taxation. Grenada is based on the current personal income tax rates which are progressive up to 30%. Guadeloupe is based on the current personal income tax rates which are progressive up to 45%. Note: For income tax purposes, France covers mainland France, the coastal islands and Corsica; and overseas départements (Guadeloupe, French Guiana, Martinique, Réunion and Mayotte). Guam is based on the current personal income tax rates for the USA using the Single Federal income tax 2019 marginal rates for individuals which are progressive up to 37%. Guatemala is based on the current personal income tax rates which are progressive up to 7%. Guernsey is based on the current personal income tax rate which is a flat rate of 20%. Guinea is based on the current personal income tax rates which are progressive up to 40%. Guinea-Bissau is based on the current personal income tax rates which are progressive up to 40%. Guyana is based on the current personal income tax rates which are progressive up to 40%. Haiti is based on the current personal income tax rates which are progressive up to 30%. Honduras is based on the current personal income tax rates which are progressive up to 25%. Hungary is based on the current personal income tax rate which is a flat rate of 15%. Iceland is based on the current personal income tax rates which are a combination of progressive National tax (22.50% and 31.80%) and Municipal tax (13.7% - 14.52%) with a total progressive of between 36.94% and 46.24%. India is based on the current personal income tax rates of up to 30%, plus additional surcharges of up to 10% to 15% for high income earners, progressive up to a combined 45%. Indonesia is based on the current personal income tax rates which are progressive up to 30%. Iran is based on the current employment income tax rates which are progressive up to 35%. Iraq is based on the current personal income tax rates which are progressive up to 15%. Ireland is based on the current personal income tax rates for single and widowed persons, with no dependent children, which are progressive up to 40%. the Isle of Man is based on the current personal income tax rates which are progressive up to 20%. Israel is based on the current personal income tax rates which are progressive up to 50%. Italy is based on the current personal income tax rates which are progressive up to 43%. Jamaica is based on the current personal income tax rates which are progressive up to 30%. Japan is based on the current personal income tax rates which are progressive up to 45%. Jersey is based on the current personal income tax rate which is a flat rate of 20%. Jordan is based on the current personal income tax rates which are progressive up to 20%. Kazakhstan is based on the current personal income tax rate which is a flat rate of 10%. Kenya is based on the current personal income tax rates which are progressive up to 30%. Kiribati is based on the current personal income tax rates which are progressive up to 35%. North Korea is based on the current personal income tax rate of 0% as there is currently no personal income tax. South Korea is based on the current personal income tax (PIT) rates which are progressive up to 42%. Besides PIT, there is also local income tax that is assessed at a rate of 10% of the PIT rates. The inclusive rates are therefore progressive up to 46.2 ((42% + (42%*10%)). Kosovo is based on the current personal income tax rates which are progressive up to 10%. Kuwait is based on the current personal income tax rate of 0% as there is currently no personal income tax. Kyrgyzstan is based on the current personal income tax rate which is a flat rate of 10%. Laos is based on the current personal income tax rates which are progressive up to 24%. Latvia is based on the current personal income tax rates which are progressive up to 31.4%. Lebanon is based on the current personal income tax rates which are progressive up to 20%. Lesotho is based on the current personal income tax rates which are progressive up to 30%. Liberia is based on the current personal income tax rates which are progressive up to 25%. Libya is based on the current personal income tax rates which are progressive up to 10%. Liechtenstein is based on the current personal income tax rates which are progressive up to 8%. Lithuania is based on the current personal income tax rate which is a flat rate of 15%, however the first EUR 20,000 rate is 5%. Luxembourg is based on the current personal income tax rates which are progressive up to 40%. Macedonia is based on the current personal income tax rate which is a flat rate of 10%. Madagascar is based on the current personal income tax rates which are progressive up to 20% with a minimum tax of MGA 2,000 for a salary of up to MGA 250,000. Malawi is based on the current personal income tax rates which are progressive up to 30%. Malaysia is based on the current personal income tax rates which are progressive up to 28%. The Maldives is based on the current personal income tax rate of 0% as there is currently no personal income tax. However Expatriates working in Maldives are required to pay 3% remittance tax for the money they send home from their salary. Mali is based on the current personal income tax rates which are progressive up to 40%. Malta is based on the current personal income tax rates which are progressive up to 35%. Marshall Islands is based on the current personal income tax rates which are progressive up to 12%. Martinique is based on the current personal income tax rates which are progressive up to 45%. Note: For income tax purposes, France covers mainland France, the coastal islands and Corsica; and overseas départements (Guadeloupe, French Guiana, Martinique, Réunion and Mayotte). Mauritania is based on the current personal income tax rates which are progressive up to 40%. Mauritius is based on the current personal income tax rate which is 10% on an annual net income of up to 650,000 (MUR), and 15% on income above 650,000..
Mexico is based on the current personal income tax rates which are progressive up to 35%. Micronesia is based on the current personal income tax rates which are progressive up to 10%. Moldova is based on the current personal income tax rates which is a flat rate of 12% from 1 October 2018. Monaco is based on the current personal income tax rate of 0% as there is currently no personal income tax. Mongolia is based on the current personal income tax rate which is a flat rate of 10%. Montenegro is based on the current personal income tax rate which is a flat rate of 9%. Montserrat is based on the current personal income tax rates which are progressive up to 30%. Morocco is based on the current personal income tax rates which are progressive up to 38%. Mozambique is based on the current personal income tax rates which are progressive up to 32%. Myanmar is based on the current personal income tax rates which are progressive up to 25%. Namibia is based on the current personal income tax rates which are progressive up to 37%. Nauru is based on the current personal income tax rate which is a flat rate of 10%. Nepal is based on the current personal income tax rates which are progressive up to 30%. Curaçao is based on the current personal income tax rates which are progressive up to 46.5%. Netherlands is based on the current personal income tax rates which are progressive up to 51.75%. New Caledonia is based on the current personal income tax rates which are progressive up to 40%. New Zealand is based on the current personal income tax rates which are progressive up to 33%. Nicaragua is based on the current personal income tax rates which are progressive up to 30%. Niger is based on the current personal income tax rate which is a flat rate of 30%. Nigeria is based on the current personal income tax rates which are progressive up to 24%. The Northern Mariana Islands is based on the current personal income tax rates using the USA Single Federal income tax 2019 marginal rates for individuals which are progressive up to 37%. Norway is based on the current personal income tax rate which is a flat rate of 22%. In additional there is bracket tax on personal income, progressive up to 16.2%. Oman is based on the current personal income tax rate of 0% as there is currently no personal income tax. Pakistan is based on the current personal income tax rates which are progressive up to 25%. Palau is based on the current personal income tax rates which are progressive up to 12%. Panama is based on the current personal income tax rates which are progressive up to 25%. Papua New Guinea is based on the current personal income tax rates which are progressive up to 42%. Paraguay is based on the current personal income tax rate which is a flat rate of 10%. Peru is based on the current personal income tax rates which are progressive up to 30%. The Philippines is based on the current personal income tax rates which are progressive up to 35%. Poland is based on the current personal income tax rates which are progressive up to 32%. Portugal is based on the current personal income tax rates which are progressive up to 48%. Puerto Rico is based on the current personal income tax rates which are progressive up to 33%. Qatar is based on the current personal income tax rate of 0% as there is currently no personal income tax. Reunion is based on the current personal income tax rates which are progressive up to 45%. Note: For income tax purposes, France covers mainland France, the coastal islands and Corsica; and overseas départements (Guadeloupe, French Guiana, Martinique, Réunion and Mayotte). Romania is based on the current personal income tax rate which is a flat rate of 10%. Russia is based on the current personal income tax rate which is a flat rate of 13%. Rwanda is based on the current personal income tax rates which are progressive up to 30%. Saint Helena is based on the current personal income tax rates which are progressive up to 27%. Saint Kitts and Nevis is based on the current personal income tax rate of 0% as there is currently no personal income tax. Saint Lucia is based on the current personal income tax rates which are progressive up to 30%. Saint Vincent and the Grenadines is based on the current personal income tax rates which are progressive up to 40%. Samoa is based on the current personal income tax rates which are progressive up to 27%. San Marino is based on the current personal income tax rates which are progressive up to 50%. Sao Tome and Principe is based on the current personal income tax rates which are progressive up to 25%. Saudi Arabia is based on the current personal income tax rate of 0% as there is currently no personal income tax. Senegal is based on the current personal income tax rates which are progressive up to 40%. Serbia is based on the current personal income tax rate which is a flat rate of 15%. Rates are a flat rate of either 10% or 15% depending on income level. 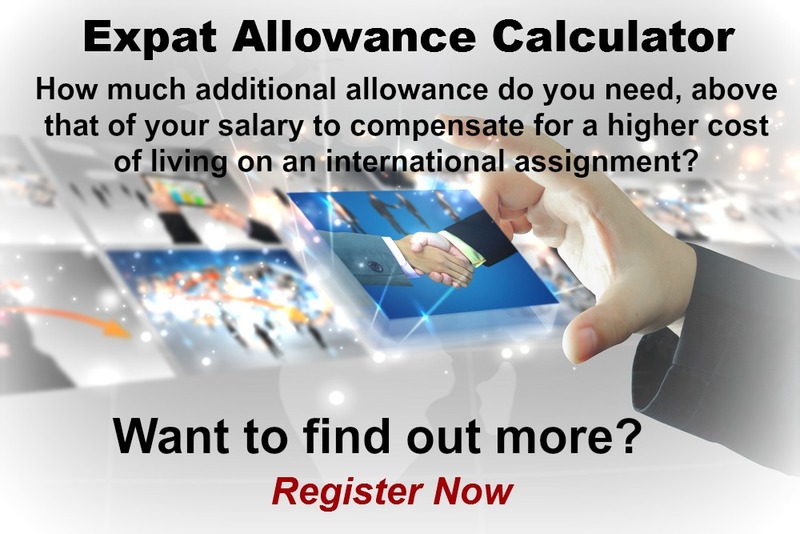 Expatriates are generally taxed at 15%. Seychelles is based on the current personal income tax rates which is a flat rate of 15% for the majority of Expatriates. Sierra Leone is based on the current personal income tax rates which are progressive up to 30%. Singapore is based on the current personal income tax rates which are progressive up to 22%. Slovakia is based on the current personal income tax rates which are progressive up to 25%. Slovenia is based on the current personal income tax rates which are progressive up to 50%. Solomon Islands is based on the current personal income tax rates which are progressive up to 40%. Somalia is based on the current personal income tax rates which are progressive up to 10%. South Africa is based on the current personal income tax rates which are progressive up to 45%. South Sudan is based on the current personal income tax rates which are progressive up to 15%. Spain is based on the current personal income tax rates which are progressive up to 45%. Sri Lanka is based on the current personal income tax rates which are progressive up to 24%. Sudan is based on the current personal income tax rates which are progressive up to 15%. Suriname is based on the current personal income tax rates which are progressive up to 38%. Swaziland is based on the current personal income tax rates which are progressive up to 33%. Sweden is based on the current personal income tax rates, comprising comprise National (0%-25%) and Municipal income tax (Average 32%), progressive up to 57%. Switzerland is complex as it is based on the current personal income tax rates which are levied at three different levels. Federal level (Single Taxpayer 0%-13.2%), cantonal level (Zurich 0%-13%), and at the municipal level (Factor of cantonal tax, which varies between 0.75 and 1.34 (City of Zurich: 1.19). Syria is based on the current personal income tax rates which are progressive up to 22%. Taiwan is based on the current personal income tax rates which are progressive up to 40%. Tajikistan is based on the current personal income tax rates which are progressive up to 13%. Tanzania is based on the current personal income tax rates which are progressive up to 30%. Thailand is based on the current personal income tax rates which are progressive up to 35%. Timor-Leste is based on the current personal income tax rates which are progressive up to 10%. Togo is based on the current personal income tax rates which are progressive up to 35%. Tonga is based on the current personal income tax rates which are progressive up to 20%. Trinidad and Tobago is based on the current personal income tax rates which are progressive up to 30%. Tunisia is based on the current personal income tax rates which are progressive up to 35%. Turkey is based on the current personal income tax rates which are progressive up to 35%. Turkmenistan is based on the current personal income tax rate which is a flat rate of 10%. Turks and Caicos Islands is based on the current personal income tax rate of 0% as there is currently no personal income tax. Tuvalu is based on the current personal income tax rates which are progressive up to 30%. Uganda is based on the current personal income tax rates which are progressive up to 40%. Ukraine is based on the current personal income tax rate which is a flat rate of 18%. The United Arab Emirates is based on the current personal income tax rate of 0% as there is currently no personal income tax. The United Kingdom is based on the current personal income tax rates which are progressive up to 45%. Uruguay is based on the current personal income tax rates which are progressive up to 36%. The US Virgin Islands is based on the current personal income tax rates using the USA Single Federal income tax 2019 marginal rates for individuals which are progressive up to 37%. The USA is based on the current personal income tax rates using the Single Federal income tax 2019 marginal rates for individuals which are progressive up to 37%. In addition there are State and Local Taxes which vary across the USA. For Xpatulator Hypothetical Tax purposes we have used a combined average of State and Local Taxes of 6.5%. The combined maximum progressive Xpatulator Hypothetical Tax rate is therefore 43.5% based on Federal (37%) + State and Local Taxes (6.5%). Uzbekistan is based on the current personal income tax rates which are progressive up to 22.5%. Vanuatu is based on the current personal income tax rate of 0% as there is currently no personal income tax. Venezuela is based on the current personal income tax rates which are progressive up to 34%. Vietnam is based on the current personal income tax rates which are progressive up to 35%. Yemen is based on the current personal income tax rates which are progressive up to 20%. Zambia is based on the current personal income tax rates which are progressive up to 37.5%. Zimbabwe is based on the current personal income tax rates which are progressive up to 50%.